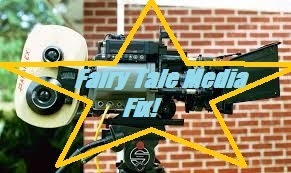 Fairy Tale Fandom: Fairy Tale Media Fix: The Storyteller. 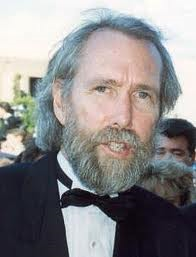 It has been a busy couple of weeks for the creations of Jim Henson. Though, personally, my first exposure to them was when they provided creatures for a property with a little more . . . Turtle Power. Hurt is well-known for his roles in films like The Elephant Man and Nineteen Eighty-Four, but some may know him as the War Doctor from Doctor Who, the voice of the dragon from BBC’s Merlin and as a time traveler who went back in time and met both Victor Frankenstein and Mary Shelley in Frankenstein, Unbound. No,really. What can I say? The man isn’t always so picky about what work he does. 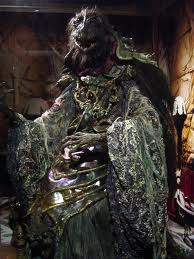 Anyway, the Storyteller essentially just sits in his home and tells the audience and his dog (a puppet portrayed by Jim Henson’s son Brian Henson) a folk tale. The tale would then unfold, depicted by skilled actors and puppeteers. There is something about this show that makes it stand out. The writing is certainly a factor. The screenplays for The Storyteller were written by Academy Award winning writer and director AnthonyMinghella of The English Patient fame. Minghella’s writing gives the Storyteller and his speech patterns a certain playfulness that colors the tale and makes the Storyteller’s voice absolutely vital to the story. 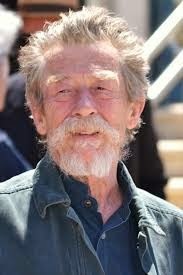 John Hurt, of course, delivers these verbal bits with amazing skill. His adaptations of the stories are interesting and unique as well. Many of the stories in the show can be found in written sources, including Grimm’s Fairy Tales. However, they’re not quite the same. Minghella adds to the tales and tweaks them, not by simply going off the cuff and adding stuff like songs and exploration of side characters, but by adding other folkloric bits. In “Sapsorrow”, he riffs on the famous ending of “Cinderella” (of which “Sapsorrow” is a close cousin) and ties it in with a similar event at the beginning of the story. In “Hans, My Hedgehog”, he adds a quest by the female lead that echoes the kind undertaken in similar stories. The greatest bit about The Storyteller, though, is the feel of the show. While other fairy tale shows and movie feel very modern, The Storyteller feels old. Not old as in dated, but old in the sense of something historic. You get the feeling that these tales existed for ages. There’s also something earthier about the show. It doesn’t feel polished and shiny like a Disney musical. It feels rustic and rural and yet somehow kind of ethereal at the same time. It’s very hard to explain. I’d like to post some pictures and videos from the series, but sadly I can’t find any that are free to use (GAH!). So, I’ll have to settle for linking to some clips to the show that are posted on The Jim Henson Company’s official YouTube account. Sadly, The Storyteller only had a run of nine episodes. It was followed up by a four episode series Storyteller: Greek Myths that featured a different actor in the role of the Storyteller. I wasn’t as fond of it. 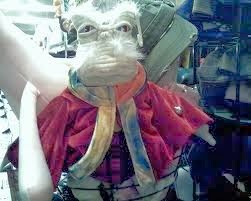 Too much tragedy for my tastes in a Jim Henson show. It wasn’t quite the end of The Storyteller, though. The show did spawn a graphic novel published by Archaia Entertainment. I’ll talk about that in a future post, though. Overall, I’ve got to say, seek this show out if you haven’t seen it. It’s certainly worth watching!